Mr. Hank Torbert is the Managing Partner and Founder of Avondale Ventures, LLC. He founded the firm in 2006. Mr. Torbert is responsible for investment selection and analysis, transaction structuring, and portfolio management and monitoring. He has extensive experience in private equity, advisory, and investment banking as well as in financing, developing, and operating small and middle market businesses in the media and telecommunications, technology, and transportation sectors. From 2004 to 2006, Mr. Torbert served as an Executive Vice President and Chief Operating Officer at Broadcast Capital. He was responsible for the company’s investment strategy, portfolio management, and operations. Mr. Hank Torbert also expanded Broadcap’s focus from investing in broadcasting to also include digital and converged media, outdoor advertising, content and programming, and other sub-sectors. From 1999 to 2004, he was an Investment Banker at JPMorgan Chase. Mr. Torbert served as a Vice President of the Financial Sponsor Group in middle market banking at JPMorgan Chase Bank and also covered media and telecommunications clients in the Equity Capital Markets Group. There, he was a Member of a four-person team that covered the bank’s top tier middle market private equity clients. Mr. Hank Torbert was responsible for sourcing and financing private equity investment opportunities for financial sponsors investing in the middle market, with a special industry focus on media, healthcare, telecommunications, and consumer products transactions. Additionally, he completed over $100 billion in transactions in the media and telecommunications and technology sectors as a Senior Associate in the Equity Capital Markets Group at JPMorgan Securities. 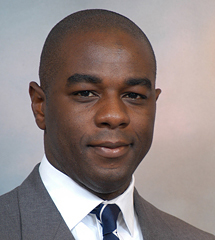 Mr. Torbert also has held positions at AIG Capital Partners, where he focused on analyzing global private equity investments and on raising capital for its Global Emerging Markets Fund and New Africa Advisers. He played an integral role in developing and launching its private equity and open-end fund products. As a founding investor and Board Member, Mr. Torbert played an integral role in the launch, development, and IPO of Mood Media. In addition, he has played a vital role in the formation and growth of several other middle market-sized companies including HorrorNet and MixcastTV. Mr. Hank Torbert also served as a Strategic Advisor at Seven Echo. He serves as a Director at Midas Medici Group Holdings, Inc. since February 28, 2011. In addition, Mr. Torbert is currently on the Board of Directors of dLs Group and Consonus Technologies, Inc. He also has an active Director or Advisory role at Celeritas Management, Inc. Mr. Hank Torbert serves as a Director at Strive DC and Medstar Research Institute. He is a Trustee, Director, and Alumnus of The Taft School. Mr. Torbert speaks regularly at media industry seminars on venture capital and other investment-related topics and is a recipient of the Network Journal’s Top 40 Under 40 Award. He holds a Masters degree in International Finance, an M.B.A., and a B.A. from Columbia University. Seasoned advisor functioning in the nexus of finance, strategy, innovation & operations within industrials and energy. I have a special focus on how new technologies, such as artificial intelligence, robotics, nanotechnology, transmission technologies and synthetic biology, etc. are changing the industrial landscape and the implications on strategy and investment decisions. I function as both a corporate strategist for Boards of Directors and organizations in decision making around charting the path forward in a rapidly changing world and a private equity investor. My experience has ranged from early stage to billion dollar companies in the industrials, energy, media / technology, transportation and financial services sectors. Specialties: Corporate strategy, private equity, business development, operations management, corporate restructuring, Investment selection and analysis, due diligence, financial engineering. Software company that uses artificial intelligence (AI) to make it easy for average business users to do advanced reporting and analytics without learning any new skills. Founded in 2015, we are a limited liability company located in Covington, LA, and are focused on technology that improves efficiency and provides cost savings within the oil and natural gas industry. The company develops and manufactures non-intrusive products that reduce methane emissions into the atmosphere from gas pipelines. ENERGYx, a joint program with the Southeast Louisiana Energy Initiative and The Idea Village, is a 12-week accelerator program for a cohort of 3-5 early stage, Louisiana-based, companies operating in the oil and gas industry. ENERGYx seeks to identify and support disruptive technologies in the energy sector. Our cohort members are key examples of the necessary innovation that will dynamically enhance the industrials and energy. The ENERGYx is keenly focused on “enabling”​ its participant companies and supporting them through access to top energy sector companies, executives and investors. Moreover, given the Louisiana’s longstanding role as a leader in the industrials sector, ENERGYx is committed to building out the early stage eco-system for companies in the oil and gas, power generation / transmission, clean energy and other related sectors. 5) The creation of our own “new idea” screener / conduit for energy companies, as most operators don’t have the time or resources to evaluate every new concept or idea and support burgeoning entrepreneurs. Georgetown Entrepreneurship Initiative encourages entrepreneurial thinking and activity, conveys valuable lessons learned from current and past entrepreneurial people and organizations, and establishes new ventures. Founded private equity firm focused on leveraged buyout transactions for the lower and middle-market industrial companies and specialty situations. Mr. Torbert co-heads deal sourcing and execution team for the firm’s transactions. • Co-developed firm’s investment thesis for industrials sector. • Focused on oilfield services for onshore and offshore operators. VL Group is a premier technology and services provider for music streaming, and digital media applications. The companies proprietary technology significantly enhances end-user experience and ROI for customers. • Appointed by largest investor. • Sourced interim CEO to execute repositioning of the business. • Established five-member board of directors and corporate objectives for new board members. Midas Medici is a green IT company that supplies mid-sized and select enterprises and institutions with leading-edge IT solutions in the fields of virtualization, cloud computing and data management, as well as working with utilities and other institutions to transform the electric grid through digital technologies. • Led merger process between StraTech (fka Consonus) / Midas Medici, which resulted in US public listing. • Advised and managed Special Committee which facilitated $52MM sale of StraTech (fka Consonus) to Oakhill Partners in 2011, allowing Midas Medici to restructure balance sheet and distribute special dividend to shareholders. • Oversaw CFO’s completion of SEC filings and investors documentation from 2010 – 2012. • Assisted in acquisition and corporate development of CIMCORP. CIMCORP specializes in data center services with an emphasis on complex solutions that enable Brazilian companies to virtualize and implement cloud-based systems. With management team, executed successful acquisition and turnaround of passenger / cargo airline in a very difficult economic environment. Clients include professional sports teams and corporate clients. Revenues +$40MM. • Led acquisition and restructuring of distressed asset in aviation sector. • Served as Chairman of Swift Air and oversaw operations and expansion strategy for 100 person staff from 2011 to 2013. • Swift Air was successfully restructured and sold in 2013. Celeritas Management is a portfolio management company that provides financial and operational resources to sports, entertainment, and lifestyle businesses to produce growth and profitability. The company is focused on making synergistic acquisitions and leveraging its access and affiliation to its financial sponsor, Palladium Equity. • Member of active board the developed corporate strategy for company, which owned and operated ANC Sports Enterprises, LLC and related media assets. • Supported CFO in due diligence of proposed acquisitions. Hank L. Torbert serves as a Managing Director of Avondale Ventures, LLC. He is responsible for investment selection and analysis, transaction structuring, investor relations and portfolio management and monitoring. Mr. Torbert has over 15 years of experience in private equity, advisory, investment banking and the development of small and middle market companies. Mr. Torbert has sourced, structured and invested or founded six small / middle market companies since 2006. • Supervised and structured investment selection and analysis, transaction structuring, investor relations, and portfolio management and monitoring. • Evaluated investment opportunities and advised a variety of business enterprises throughout the Northeast and mid-Atlantic states, Ohio, North and South Carolina, Florida, Texas, and California. As a founding director and investor in 2005, Mr. Torbert has played an integral role in the launch, strategic direction and IPO of Mood Media, (fka Fluid Music Canada). Mr. Torbert served as the Audit Committee Chair and monitored the financial management on behalf of the board. In addition, he worked with management to acquire Trusonic, a La Jolla, California-based music services business. This acquisition enhanced Mood Media’s growth story and positioned the company for its 2008 initial public offering on the Toronto Stock Exchange (“TSX”). • Founding Board member and Investor. • Led strategic initiatives to expand company from inception. • Led acquisition of Trusonic, Inc. and AudioLunchbox, in-store music services company, which enabled Mood Media to list on TSX. • Advised and supported management team with US and Canadian IPO processes, resulting in a $100MM IPO valuation and liquidity for investors. Broadcast Capital was founded in the late 1980s as a joint partnership between CBS, NBC and ABC and the National Association of Broadcasters to invest in and support diversity efforts in television and radio broadcasting sectors. The company was founded as a Small Business Investment Company (“SBIC”). • Mr. Torbert managed the firm’s operations and managed and monitored three portfolio companies in broadcasting industry. Sourced and structured media and telecommunications transactions for investment consideration. Cultivated investor relationships with fund of funds and state and corporate pension funds. In addition, managed firm’s SBIC compliance and all other administrative matters. • Managed and oversaw firm’s prior investments in On Top Communications, Stop 26 Riverbend and Latin Entertainment Network. • Managed portfolio investment in Hispanic radio network and station group owner. Developed roll up strategy to position the company as ninth largest Hispanic focused operator in the United States through joint ventures with Latin American content providers and acquisition of three other Hispanic focused radio groups. • Expanded firm’s nexus and focus to encompass telecommunications, digital media, and content/programming, outdoor advertising and publishing. • Lobbied on behalf of small and medium sized broadcasters for access to capital and for “Digital Must Carry” legislation, which was passed in 2007. Co-developed Capital Development Group with Managing Director to focus on sourcing and financing private equity investment opportunities for financial sponsors investing in the middle market and to provide additional strategic advisory services to middle market banking clients across US markets. Focused on a diverse range of sectors, including media, healthcare, and consumer products and telecommunications companies. − Managed client focused execution team, including junior vice president, associate and analysts. − Provided capital markets execution and business development expertise to JPMorgan middle market banking clients seeking private equity – including, equity, mezzanine, and debt financings. − Developed network of small and middle market deal capital sources across United States. − Closed three transactions, including advising private equity client on restructuring and $11MM capital infusion into telecommunications equipment company. − Co-developed media equity capital markets franchise with Senior Managing Director and Vice President. Built strong working relationships with salespeople, traders, research analysts with across several media and telecommunication industries; strategic planning and networking with managers specifically. − Completed over $100 billion of transactions in cable, broadcasting, marketing services telecommunications and financial institutions business sectors. − Developed equity markets and execution expertise in the media and telecom sector. − Performed comprehensive mergers and acquisitions analysis for real estate clients, including REITs and multinational developers. The Contemporary Arts Center in New Orleans is a multi-disciplinary arts center, nationally recognized as a leader in the presentation and support of contemporary arts, artists, and emerging art forms. In doing so, it will explore and involve the diverse cultures of our communities. encourage investment, and reduce risk. The Network Journal’s 40 Under-Forty Achievement Awards honors men and women under 40 years old whose professional accomplishments have significantly impacted an industry or profession, and who also have made an important contribution to their community. Mr. Torbert continues to be an active alumnus and is currently a Trustee of The Taft School. Activities and Societies: Student Government: First African American Headmonitor (student Body President), notably for 1990, Taft’s Centennial year. Sports: Cross Country, Track and Wrestling. New Orleans is a clear leader in the energy sector. With a deep history in the sector and highly skilled professionals, we have the essential elements to weather the current market turbulence.